That was great. Thank you. I have done it like this and like it. I also have an old Scottish friend who just picks up the stitches to knit the band and he says the ends just felt themselves in. True but this is a little more secure. And I have stitched along the edge by hand and by machine. Haven’t done Kate’s sandwich yet…….all depends on the yarn. I repeat, great job explaining. That is wonderful! I love the drawing diagrams! Thank you Tom. It has been very instructive. I am very tempted to use it for a cardigan I have already started. Even if I have to undo what I have started, I am sure your steek technique is worth trying. And another thing: your pattern is brilliant. Well done. Thank you for your tutorial, Tom. 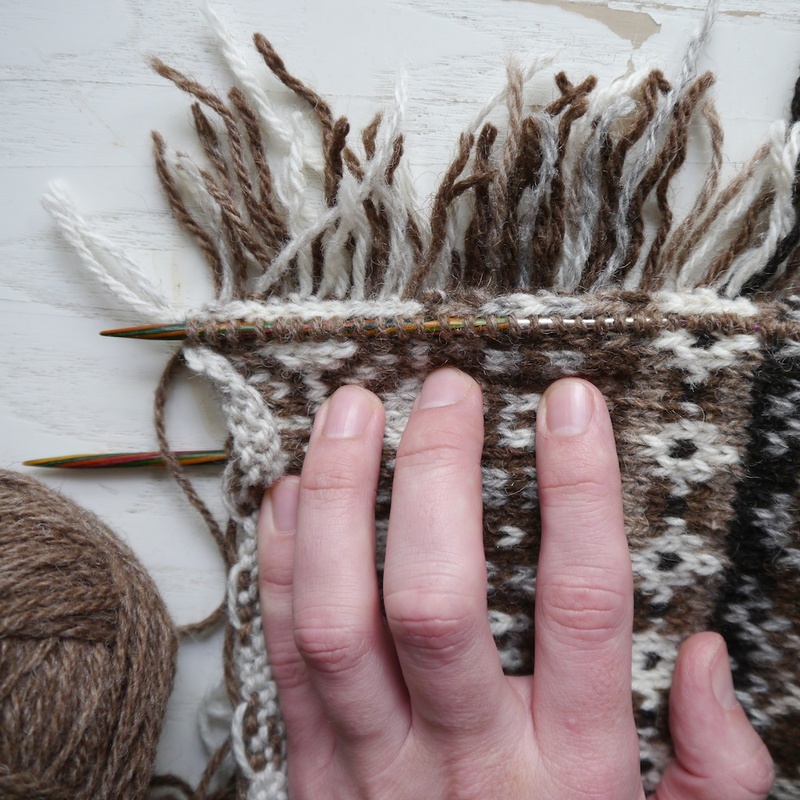 The cardigan is beautiful, and I am grateful to be made aware of Foula yarn. 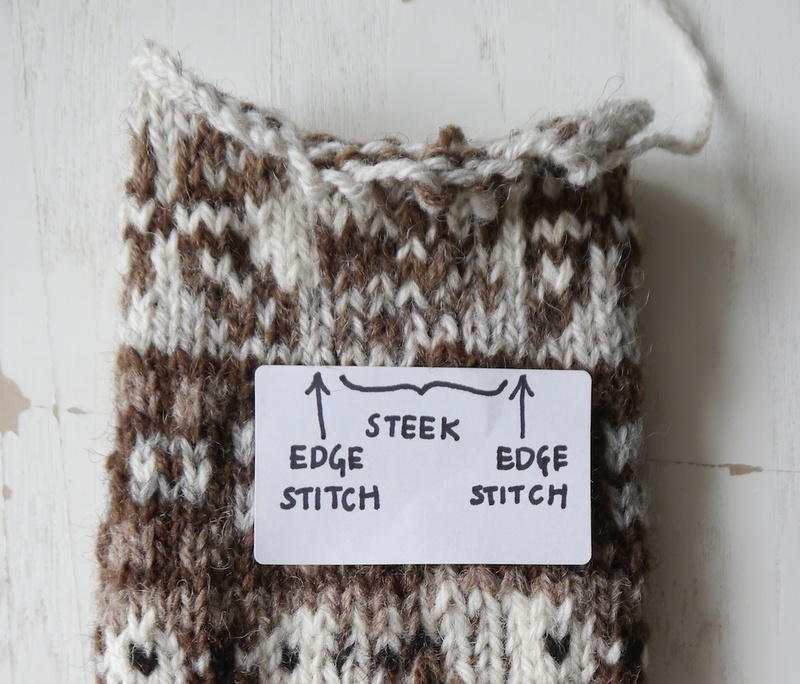 In the Picking Up Stitches step, do you pick up a button band stitch for each pattern stitch, or do you skip a few to make up for differences between row and stitch gauge? 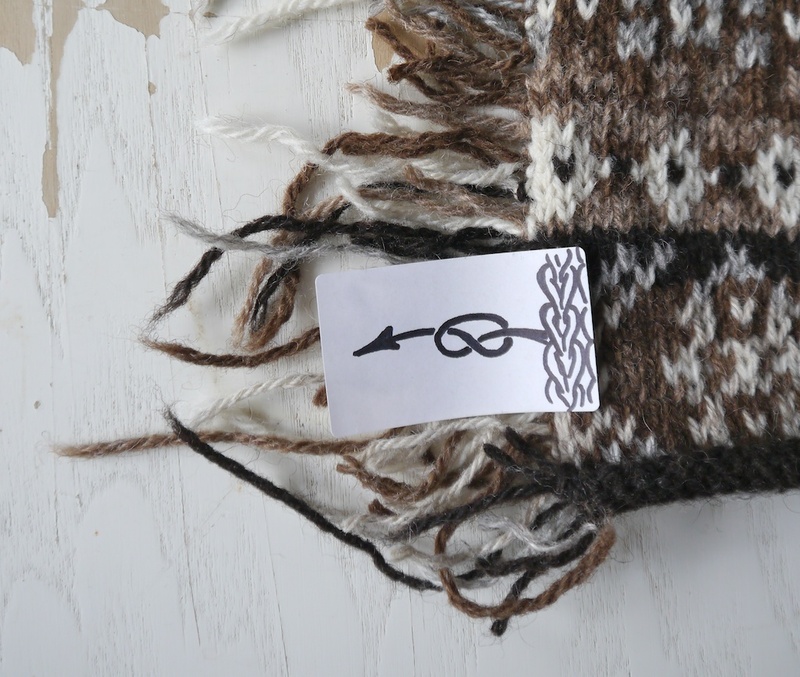 I prefer picking up one stitch for every row and then do increases or decreases as required according to gauge for the buttonband. Glad to hear you like it Betsy! 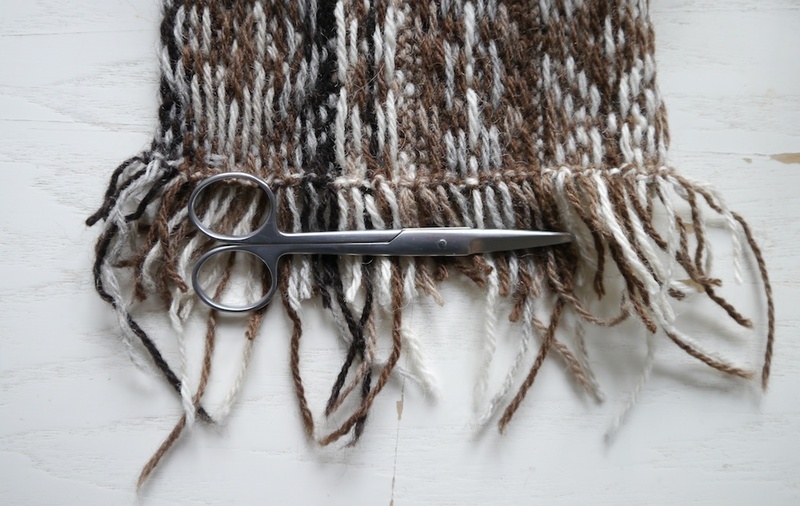 Dear Tom, I just used your knotted steek method to steek with machine washable yarns for a child’s cardigan. 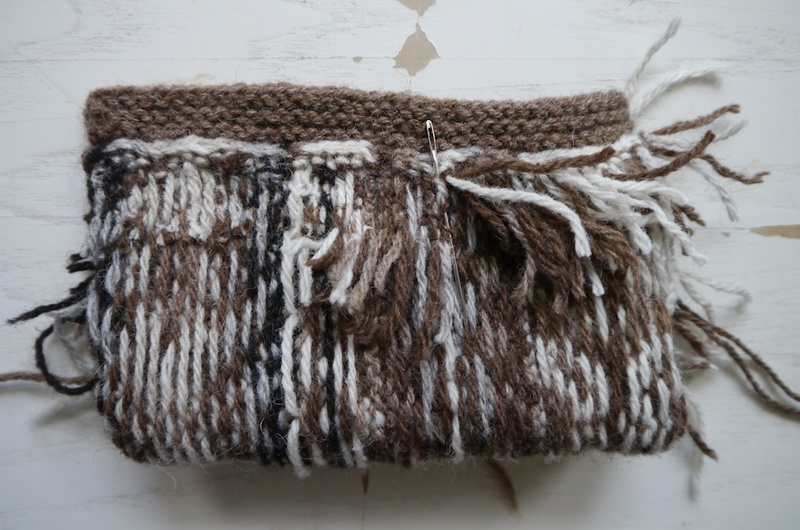 I don’t think other method would work with machine washable yarns because the fibres won’t stick to each other. Your knotted method meant I could secure the steek anyway. An experiment, I will watch how the steek holds after wearing and time. Thanks very much. Blogged here http://needleandspindle.com/?p=2410 if you want to take a peek at the steek. Pleased to hear you’ve tried out the knotted steek. I’d be interested to hear how it behaves over time. You mentioned in your blog that the stripes are slightly distorted. 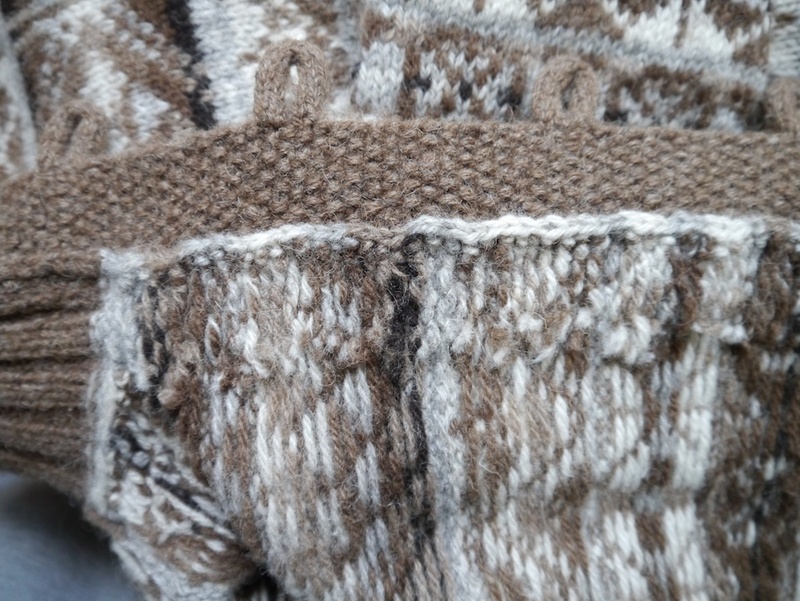 Of course I’ve only used the steek on Fair Isle knitting, in which case the loose ends are darned into the floats, leaving the actual knitted fabric well alone. I hope it will even out a bit more once you’ve washed it once or twice. Beautiful cardigan! 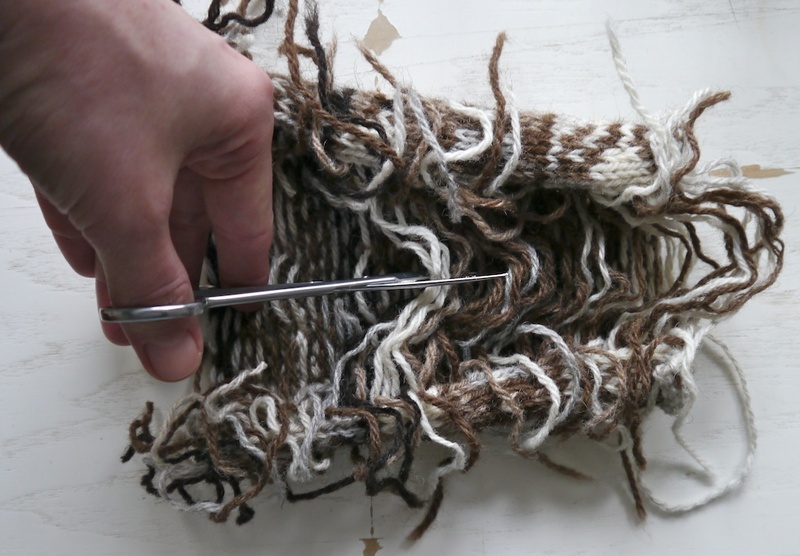 Re: getting the knot close to the work – I have found putting a needle eye into the knot center and pulling it close to the work will aid the knot in that snuggling up to the edge – hard to explain but it works for any sort of sewing in which you want the knot near the work. Esp with you haven’t a lot of yarn/thread to work with. Give it a test run with any needle/thread. BRILLIANT! I think this will become my new favourite steeking method 🙂 Thank you! Thank you so much! I had always wanted to know how to do this and the explanations in books were hopeless. Now I can knit cardigans and waistcoats ‘in the round’! Excellent tutorial! But what do you do if you have single color rounds in the pattern? Is it ok to knot and darn 1 strand of yarn on those rounds, or do you knot them with the yarn from the row above or beyond? If you have one row of a single colour then you can tie knot it together as you suggest yourself. If you have two rows of a single colour (as in this pattern) then you can knot those together instead. Oh thank you for this. Very nicely explained and illustrated. I can wait to try it.